← Fun to Play: WordPress 3.0 Multisite SQL Injection Vulnerability Regression? Circa 24 hours ago it came to my attention that the wordpress codebase was silently re-licensed some months ago (before l88 / GPL -/- after l105 / GPLv2). The copyright related licensing statement has been changed on February 28th 2010 for no apparent reason and prior notice. The way this change has been made – as far as I can say after 24 hours – was an unauthorized change. In detail the change seems little (two characters added, namely v2), but this small modification makes a big difference according the wordpress license. It’s a copy of the GNU General Public License in it’s second version that ships with the project and with that license, naming or not naming the version number of the GPL by the program makes a difference. That’s the case here. 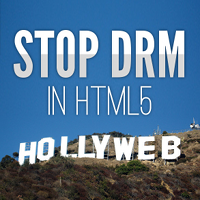 Users may now fear that their usage of the software becomes restricted and limited compared to the long-time provided and known licensing terms. Please take note, that this is not a problem of the GPL, it’s a problem of how the wordpress project handles copyright and licensing in general. Visibly by not taking care properly. 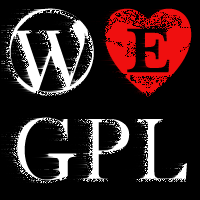 The GPL in the end is the part that is protecting the freedom of wordpress users. Since the software’s beginning more than seven years ago, developers had been given their code with the old terms. The free software then got distributed with those terms to users worldwide. The moment I became aware of the unauthorized change, I opened a ticket asking for an immediate revert. I can not make that revert on my own, that’s why I need to contact other developers so that they take care of the job. It is ticket #14685 – Copyright Notice Tainted. The first 24 hours now passed w/o practical action by the wordpress project. After some Pavlovian response by the committing developer and then the usual chit-chat and word-flipping games (oh hakre you’re wrong, this is not about copyright, this is about licensing – making commits only to underline arguments comes with a high price btw: ), it looked like at least one core developer became aware of the potential dimension this small change implies. He sent signals out, that he would take care to communicate and discuss the issue with other core developers and contributers. That was ca. 12 hours after the initial report. But no communication has happened since then from those developers who have enough power in the project to execute the demanded correction. Nobody would be hurt by just reverting. So obviously this looks like a proper first action to me (and others). But there seems to be a lot for core project members to discuss instead. This is a very unpleasant and unsatisfying situation for me as wordpress developer and user. 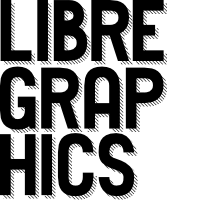 Now served on a silver plate is a copyright issue in the worpdress core code since the 28th of February 2010 (trunk), an unauthorized change of the software’s licensing terms done by a single developer. The copyright owners of wordpress have never expressed the wish for such a change nor have they been notified about it. Practically this means that all publicly available wordpress 3.0.x software packages and installations are tainted by that unauthorized change. I’m still in the hope that the project reacts now and reverts the erroneous changes promptly, fixes the available packages und uses the auto-update feature to help wordpress users to recover. After the revert there is need in the project to carefully analyze what went wrong and how to improve the situation. This change made me aware as wordpress author, that there are important things to take care now. Know your rights. Free as in Freedom. In the end of this story the GPL will safe us. This entry was posted in Pressed, Wordpress Licensing and tagged #14685, Andrew Nacin, Author, Author Right, Author Rights, Copyright, Free Software, GPL, Mark Jaquith, Rights, Wordpress, Wordpress Licensing, . Bookmark the permalink.